Google’s local search results have given many businesses a boost, but now it seems the highest ranks have grown more elite…and more elusive. 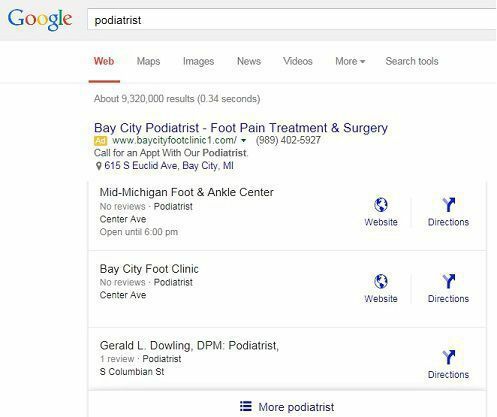 Instead of showing the usual top seven local businesses, Google recently updated its search results to highlight the top three results matching the query. This small change could have huge consequences, potentially increasing business for companies in the first three results (and of course, fewer phone calls for those who come in fourth or lower). Approximate addresses. Google has removed the full street address from all snack pack listings, instead showing only listing the street name. Customers will be forced to click through to your website or the Google map listing in order to find your exact address. Store hours. Opening and closing times are now featured at the bottom of each listing, including Google’s recent warning that a location is closed or will be closing soon. Reviews. Recent reviews of your business are still featured, but they are no longer labeled as “Google Reviews.” As always, you should make sure your business reviews are still accessible to your readers. No phone numbers. Local phone numbers have also been removed from top results; however, the mobile version of the listing does offer an instant “Call” option for each listing. Of course, this doesn’t make it impossible for a consumer to find your business. The fine print link at the bottom of the snack pack allows readers to view more local listings, and any more information beyond the basics will require them to click even further through to the website. If this sounds easy, remember that is doesn’t take much hassle for a reader to stop searching—and the fewer clicks it takes to find you, the more likely it is that a customer will get in touch. While Google may not show all of your business’s contact information in the snack pack results, businesses with complete Google listings will have more weight in the rankings. Since it’s more important than ever for your business to be in the top three listings, it is vital that all of your business information is complete, accurate, and consistent across all of your web presences. You can get more tips on improving your rankings in our guide to search engine optimization, or call us today at 866-460-3724 to have us examine your website for potential flaws and opportunities. Are Google’s Search Results Biased Toward Its Own Websites?